Trump Lawyer Michael Cohen Got Restraining Order Blocking Stormy Daniels From Talking About Affair - Joe.My.God. President Donald Trump’s lawyer is trying to silence adult-film star Stormy Daniels, obtaining a secret restraining order in a private arbitration proceeding and warning that she will face penalties if she publicly discusses a relationship with the president, NBC News has learned. Tuesday’s lawsuit says that Trump attorney Michael Cohen — who brokered the agreement with Clifford during the presidential campaign — attempted to “intimidate” Clifford and “shut her up” by initiating what it calls a “bogus arbitration proceeding” against her in Los Angeles on Feb. 27. 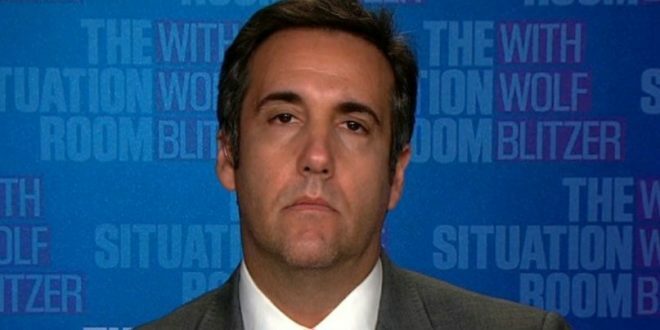 On that day, Cohen obtained a temporary restraining order against Clifford from the private arbitrator, a retired judge, which bars her from disclosing “confidential information” related to the nondisclosure agreement signed in October 2016, according to a copy of the order obtained by NBC News. White House Press Secretary Sarah Huckabee Sanders also stated on Wednesday afternoon that the “case had already been won in arbitration”—but it is unclear what she was referring to as Trump is not listed as a party in the restraining order. Michael Avenatti told NBC News that Michael Cohen’s lawyer, Lawrence Rosen, has made further efforts on Wednesday to warn Daniels that she is “subject to damages” if she talks about the affair.